Have you heard of Buddy Punching? You might not be familiar with the term but you have probably experienced it in your store. Buddy Punching is when an employee has their buddy clock them in or out. This results in time keeping theft. In other words, you are paying an employee when they are not in the store! 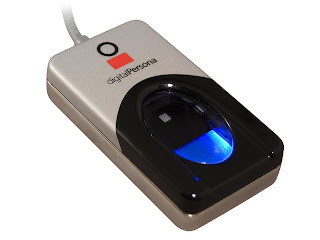 A fingerprint ID unit can certainly stop this type of theft from occurring. They are inexpensive, safe and reliable. Beyond that, they are the only real, effective, method of stopping buddy punching. There is another type of employee time theft that can happen however. It occurs when someone of authority edits their own or another employees time. Recently, we had a customer that caught a manager changing her clock out time by 30 minutes every shift. This customer used our Time Keeping Audit report to track this and catch the offending manager. In the example below, employee code 7 changed the clock out time for James Smith.